BREMF is about much more than just concerts. 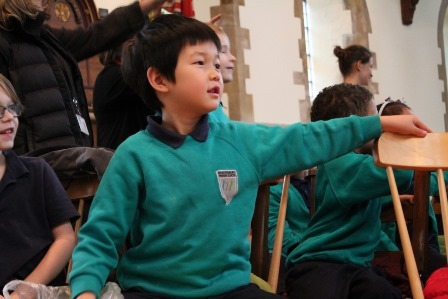 Outside the Festival we run three choirs (see Perform > BREMF choirs on our menu for more information), and our schools programme reaches over 1200 children each year in Brighton & Hove schools. As well as more concentrated projects, we organise a series of one-off workshops from up and coming early music ensembles taking part in our Early Music Live! scheme, for Brighton & Hove schools each spring. Get in touch at if you would like a workshop at your school in February/March 2019. Brighton Early Music Festival is proud to be an Arts Award Supporter. If you're working on your Arts Award, click here to find out what opportunities we can offer to help you. BREMF is part of SoundCity, the Brighton & Hove Music Hub. See www.soundcitybh.org for more information. We brought together children from Goldstone Primary, St John the Baptist RC Primary and Stanford Junior schools with the Orchestra of the Age of Enlightenment for an updated and reworked version of Purcell's King Arthur. Joining the schools and the orchestra were members of Orchestra 360 - Brighton & Hove Music & Arts' inclusive ensemble for children and young people with special needs and their families, BREMF Live! young musicians, and beginner instrumentalists who started learning the bassoon, French horn and viola as part of this project. 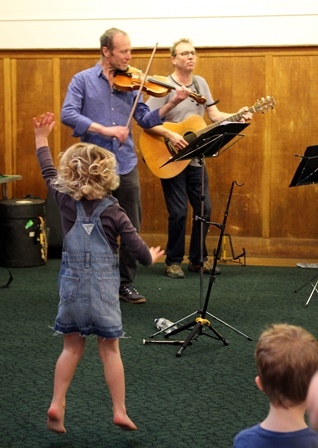 The performance in June 2017 consisted of a story in music, cleverly wrought from Purcell's original, with new songs by James Redwood, who directed the performance, attended by over 150 parents and friends of the young performers. Timothy Dickinson was King Arthur, with Kirsty Hopkins as his loyal servant Philidel. 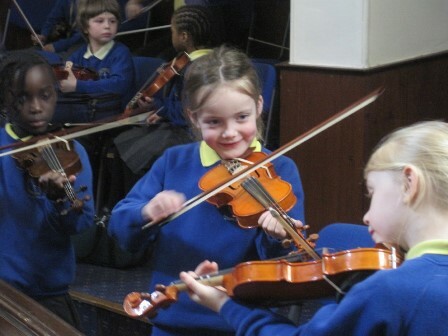 We are very grateful to the OAE and to Brighton & Hove Music & Arts for collaborating with us on this project, and hope it will be the start of a life-long love of music for the young people involved. Year 9 students from Dorothy Stringer and Cardinal Newman Schools worked with composer and animateur James Redwood to create their own music in response to the themes and repertoire in our Galileo show, which was a major part of the first weekend of BREMF 2016. 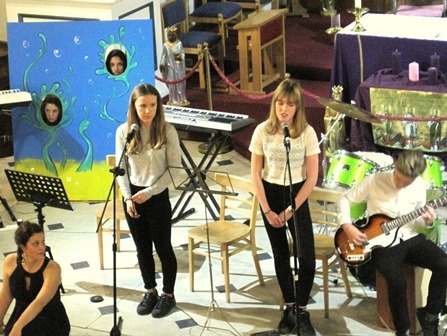 The students, who were all at the stage of considering music as a GCSE option, attended the dress rehearsal at St Paul's Church and then worked on their compositions both independently and with James. The schools came together to showcase their work to their parents and BREMF audience members in November 2016, joined by soprano Gwen Martin and lutenist Toby Carr to bring the sound-world of the show to life. In Autumn 2015 we worked with Year 9 students from Dorothy Stringer and Cardinal Newman schools on a composition project inspired by our 2015 opera production – La liberazione di Ruggiero. 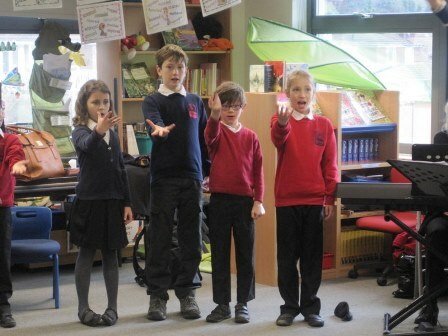 The students attended a performance of Ruggiero, and then worked with composer Elspeth Brooke to create their own music inspired by the themes in the opera. They came together to share their finished compositions at St George’s Church in December 2015, where they were joined by one of the professional singers from the opera cast. Our largest project ever, run in collaboration with the Orchestra of the Age of Enlightenment and involving 380 children in eight Brighton & Hove primary schools, as well as secondary students, a group of homeless people, SoundCity ensemble members and adult amateur musicians. As part of the project seventeen 8 and 9 year olds started to learn the bassoon, with a term's free lessons funded by SoundCity. 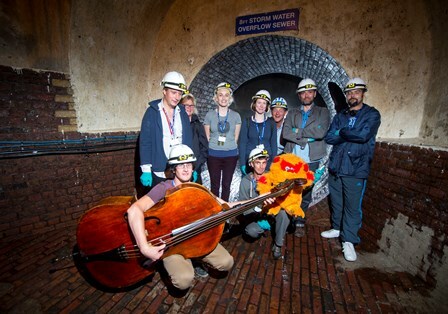 Watercycle culminated in a final community concert in early December 2014 which brought together the Orchestra, schools, the BREMF Community Choir, SoundCity ensemble members, adult amateur musicians in a celebration of everything that had been achieved, as well as raising over £750 for WaterAid. 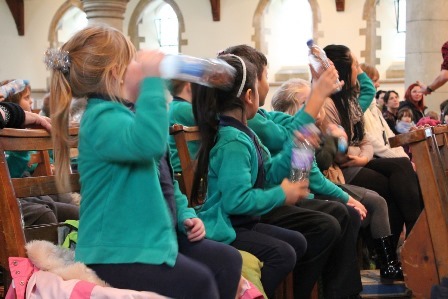 Year Six pupils from three East Brighton schools worked with animateur Dominic Peckham to learn a range of songs which they then performed to each other and their parents in a concert at St Luke's Church. Brighton Festival Youth Choir also performed in the final concert, and offered project participants a taster session with the youth choir. 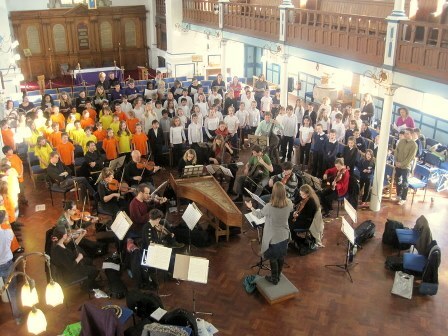 150 pupils from three Brighton & Hove primary schools learnt Vivaldi's Gloria by ear, and then came together to perform it with the Orchestra of the Age of Enlightenment in St George's Church, Brighton. Singers from the BREMF Community Choir and the London Youth Choir were also involved in the final performance, conducted by project leader Esther Jones. 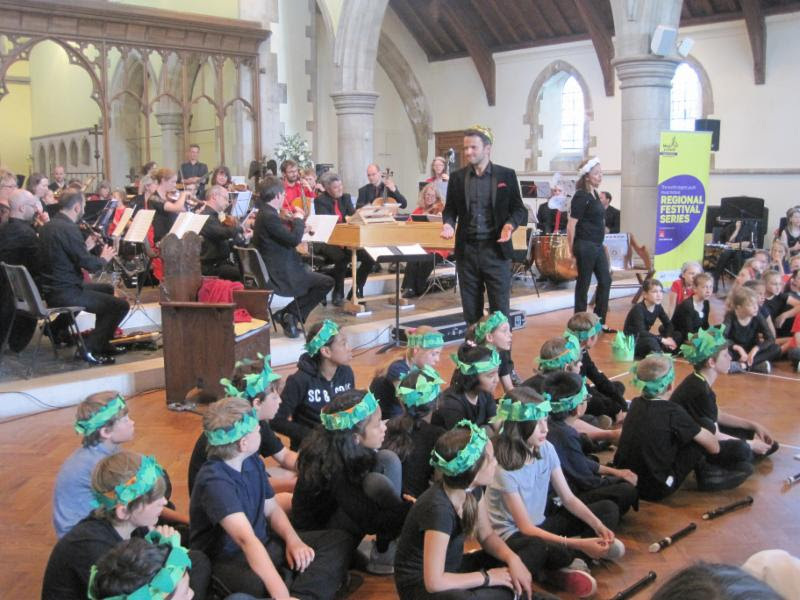 In our first project outside Brighton & Hove, we linked up with four primary schools in Hastings for a project with the Orchestra of the Age of Enlightenment, culminating in a massed concert by 400 children in St Mary in the Castle, Hastings. GCSE and A Level students from Blatchington Mill and Varndean Schools and City College Brighton & Hove worked to create their own 21st-century take on the 18th-century music-theatre piece The Beggars Opera, which they then performed as part of BREMF 2011. BREMF is an Arts Award Supporter, and there are lots of different opportunities for you to get involved with our education programme, which can count towards your Arts Award. We run lots of different schools projects in Brighton & Hove schools throughout the year. Get in touch at if your school would be interested in taking part. Anyone aged 16 or over is welcome to join our BREMF choirs, and we have several members who are students. We would particularly encourage music students who are really serious about their singing to audition for BREMF Consort of Voices. See the BREMF Choirs section for more information. 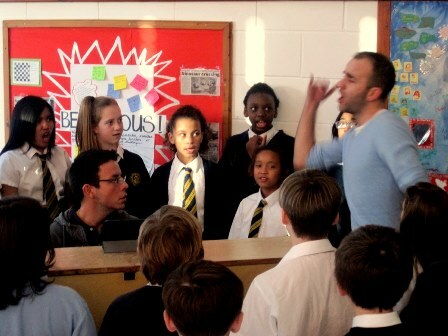 If you’re aged between 11 and 16, why not consider joining the Brighton Festival Youth Choir? Tickets for BREMF events are free for anyone under 12, and concessionary rate for anyone aged 12-25. See the main homepage from early Sept to book. Interested in a career in arts administration? Get valuable experience for your CV by becoming a young volunteer during the Festival (16+ only). We need help with lots of things from checking tickets and selling programmes, to looking after artists and operating lighting and sound. If you’re a recent graduate, consider applying for our Festival Trainee scheme for young people planning to pursue a career in arts admin. Full details available in May.